While these are not all of the possible errors that can occur, these will be eliminated when you use ExpressTaxFilings for your Form W-2. 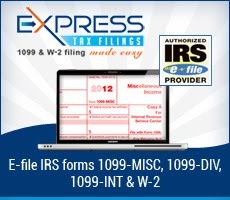 If you have any questions about W-2 E-Filing, contact the Express Tax Support Center in Rock Hill, SC at 803-514-5155 between the hours of 8am – 6pm EST, Monday through Friday or email support@ExpressTaxFilings.com. We have Spanish support too!